Enjoy the best inspirational, motivational, positive, funny and famous quotes by Alan Bersin. Use words and picture quotations to push forward and inspire you keep going in life! 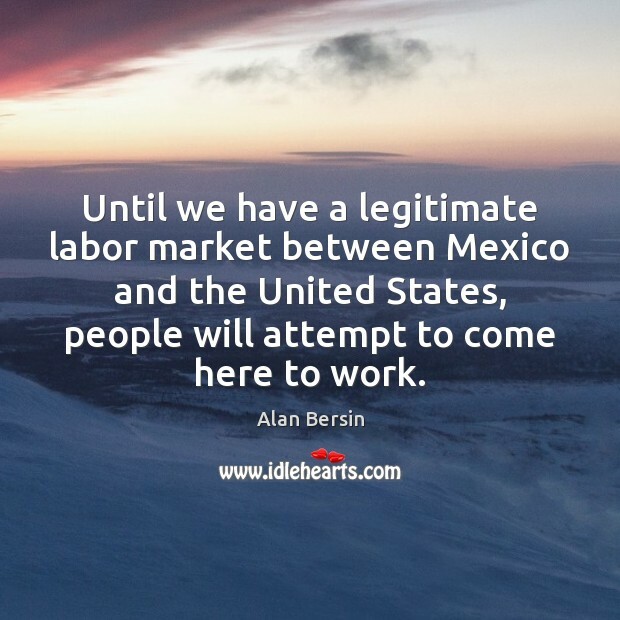 Until we have a legitimate labor market between Mexico and the United States, people will attempt to come here to work.